Enerjex 230 EXTRA spray pickle gel is a very aggressive pickling acid than its close relative Enerjex 230. 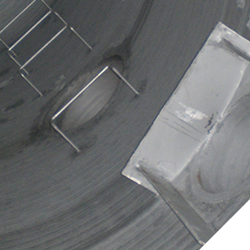 Designed for descaling stainless steels and other grades as listed below. During the welding process the steel is raised above its oxidising temperature (~400°C) and the formation of a rainbow coloured oxide film appears on the surface (the oxide scale itself is a type of corrosion "dry corrosion"). The oxide scale is/can be deleterious to the corrosion resistant properties of the stainless steel, particularly when a steel is operating close to its design limits. Enerjex 230 will remove these areas and help restore the corrosion resistant properties across the weld and HAZ. 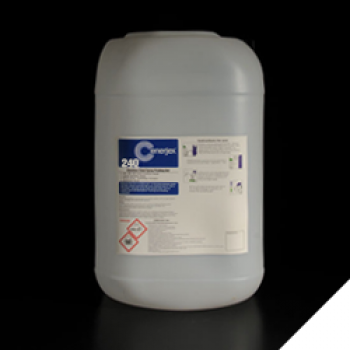 Supplied in 30kg Polyethylene containers which are type approved for hazardous goods.